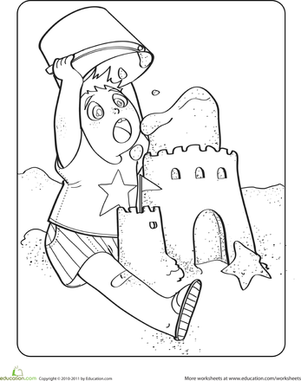 This little kid is having a bit of trouble building his dream sand castle. 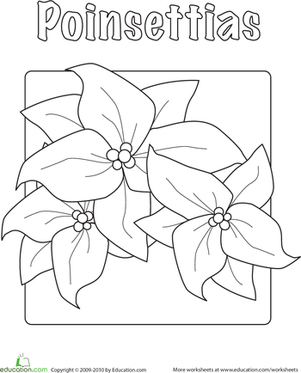 Can your child help him out by brightening the day with some colour? 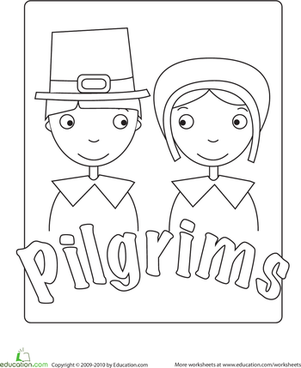 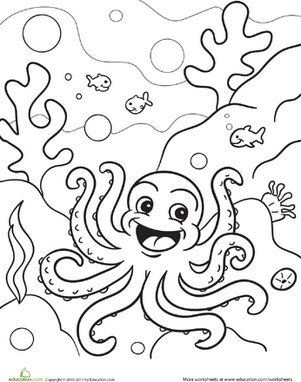 A coloring page like this is sure to get him in the summer mood and ready to head out to the beach! 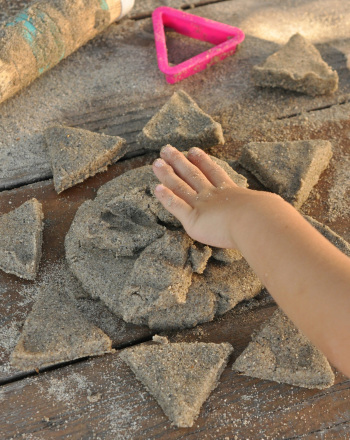 This castle is made up of many shapes! 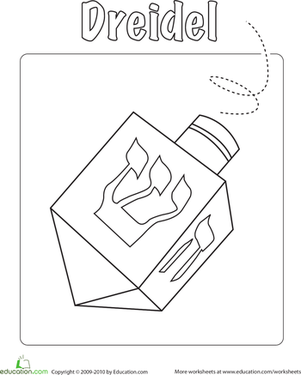 Identify each shape and follow the coloring directions to make this castle fit for a king. 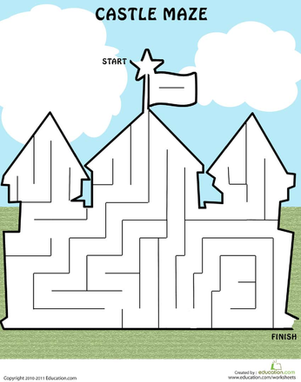 Can your child find her way through the castle without getting stuck? 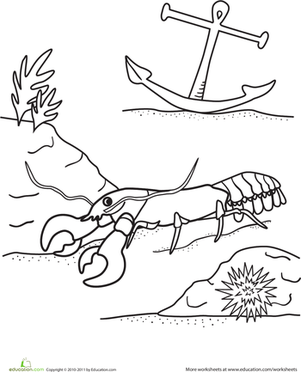 This lobster coloring page features a lobster taking a stroll on a sandy beach.